Pennywise returns yet again in his classic look! 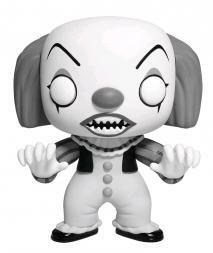 This Pennywise Movie Pop! Vinyl figure stands 3 3/4-inches tall. The sylized vinyl figure has a rotating head and comes in a displayable window box.